Waunakee, WI and surrounding areas. The answer is simple... AMS maintains the highest levels of customer service, on time scheduling, and affordable pricing. At AMS, not only are our customers in the Waunakee area the most important, valued part of our business, they are our life. Professionalism and perfection is our #1 obsession. Serving residential and commercial customers, we provide a full range of expert lawn care services including fertilization, trimming. weed control, and more. AMS provides full service lawn care for commercial and residential clients. 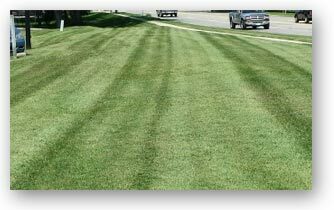 Choose us for Lawn Care in Waunakee. The value of any property is greatly affected by the quality of the landscape. Learn more about why AMS is the right Landscape Contractor in Waunakee! AMS is ready for any storm! AMS provides snow removal and de-icing services to residential and commercial clients throughout southern Wisconsin. Through years of experience and training, we have dedicated ourselves to providing quality snow removal services that meet and exceed the needs of our clients. To Request A Quote in Waunakee, please call us at 608-807-3302 or Contact Us.